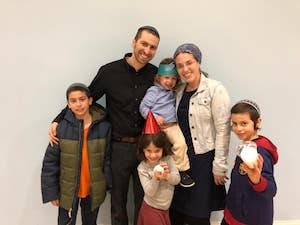 The Beit Midrash Kehilati (community learning center) is a model generally employing one couple to serve as shlichim, without accompanying Bachurim. The husband and wife team work together to strengthen and inspire their host community. Both shlichim are trained to lead formal and informal educational activities, in the local schools and within the adult communities, whether based around a Synagogue or a community center. They initiate one-on-one learning (chavrutot), offer a variety of shiurim and organize community-wide activities. The family of shlichim serve as a cohesive role model family committed to both their practice of Judaism and adherence to Zionist ideals.